Lumbar spinal stenosis is a common condition, affecting an estimated two million men and women every year. 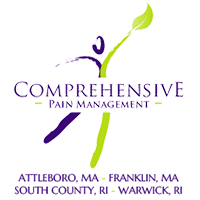 For those living in or around Attleboro or Franklin, Massachusetts, as well as South Kingstown or Warwick, Rhode Island, Comprehensive Pain Management and the services of Do Chan, MD, MBA, can bring you relief. A treatment called the mildⓇ procedure can reduce pain and improve your mobility. To learn more, schedule a consultation by phone today. Lumbar spinal stenosis, or LSS, is a condition in which the lower section of your spinal cord narrows, placing pressure on the nerve tissues within. The bones that make up your spine create your spinal canal, which provides protection for your spinal cord. Those symptoms can limit your ability to live an active and healthy life, which can, in turn, lead to other serious health issues. If you notice lower back pain or other symptoms, be sure to schedule a diagnostic exam to determine if spinal stenosis is to blame. The mild procedure is a safe and effective treatment that can help you walk or stand for longer periods of time without pain. An imaging device gives Dr. Chan the ability to “see” your spinal canal. If there are small pieces of ligament or bone tissue present, specialized surgical tools are used to remove them. That helps restore proper space within the spinal canal, relieving pressure on compressed nerves. What should I expect after the mild procedure? Your procedure may be completed in less than an hour, and there’s no need for general anesthesia. There are also no stitches involved, which speeds the healing process. You should be able to return home the same day. It’s a good idea to avoid heavy lifting and other strenuous tasks to give your body a chance to heal. You should be able to complete light tasks and normal activities after the first few days. Your specialist will advise you on how long to wait before increasing your activity level. In some cases, a course of rehabilitation is recommended after the mild procedure. You might also come in for routine follow-up care to check on our progress. If you’d like to explore the possibilities afforded by the mild procedure, book a consultation at Comprehensive Pain Management today. You’re always welcome to call and speak with a member of the administrative staff.